There is more to discover in the Sudoku universe! The Sudoku is a well known and loved daily brain training practice for a lot of people. Some newspapers and magazines publish regularly new puzzles in all kinds of skill levels. The good news: Most users don’t know that the Sudoku world offers more than just the classic sudoku board layout with nine rows, nine columns and nine blocks. There is a lot more to discover! And feeding your brain with a wide variety of new and different exercise food brings you even more skills, makes your mind sharper and last but not least, makes a lot of fun. With this series of articles we want you present some the gold nuggets that are hidden in the Sudoku puzzles universe. For now we want to encourage you to check out our own puzzle creation: BrainBrix Brain Teaser. 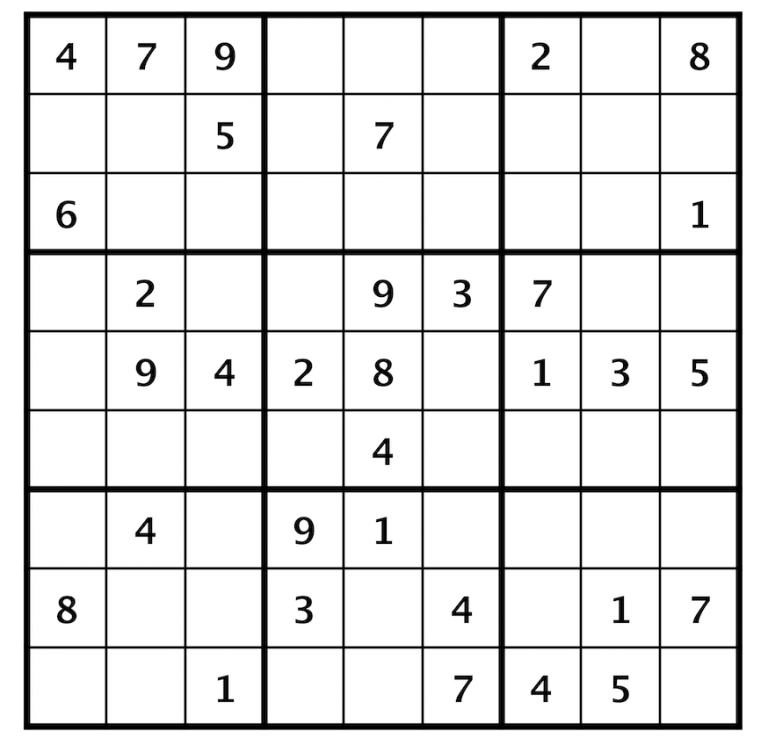 A classic Sudoku Puzzle. Can you solve it? So stay tuned for the next articles. Be a brain sport hero!